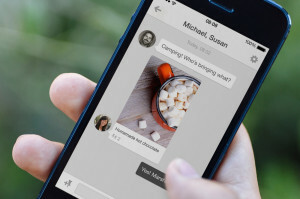 Pinterest Introduces Messaging: Pinterest announced the addition of messaging to its platform on Wednesday. The messaging feature allows users to communicate with one-on-one or with groups. Users can send pins and have conversations around those pins. Pinterest messaging is available on both desktop and mobile. Vine Gives Users More Control Over Notifications and More: Vine’s latest round of updates provides users the ability to customize their notifications. Users can choose exactly what types of actions they want to be notified about instead of choosing to opt in or out of all notifications. The latest updates also include a new badge on the navigation bar that displays the number of unread items, easier public or private Vine sharing, and a disappearing top bar for better Vine viewing. Facebook to Ban Like-Gaiting: Facebook plans to ban like-gaiting, a practice by which brands incentivize people to like their page or download their app. Like-gaiting typically involves a company offering an incentive like entrance to a contest or an app download in exchange for a page like by users. The ban became active for all new apps on August 7 and will go into effect for existing pages and apps on November 5, 2014.